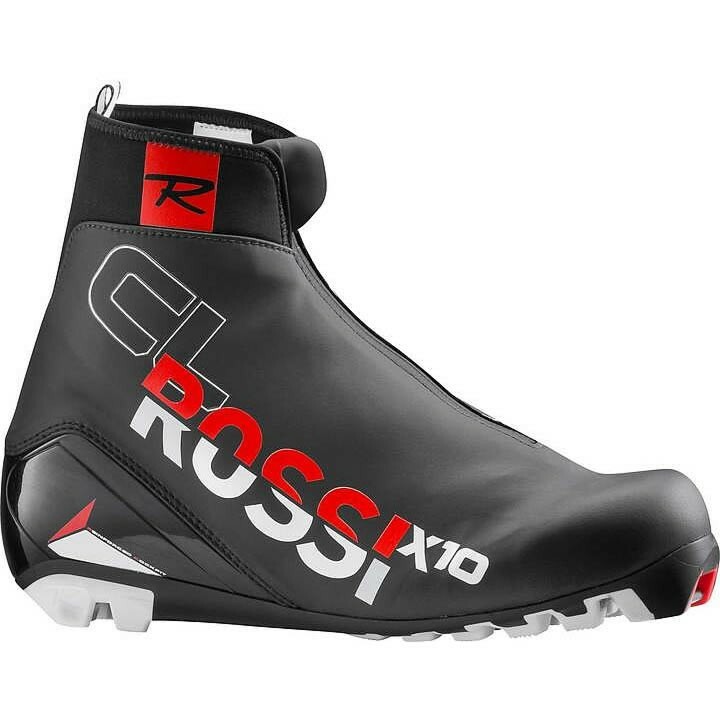 A high-performance classic boot with a committed race fit for expert skiers, the Rossignol X10 Classic features an all-new, classic-specific, low-profile sole construction for increased precision, power transfer, and more natural foot roll. The Lock Down foot wrap, Active Control heel support, Thermo-moldable fit and asymmetrical lacing provides a precise, enveloped fit to deliver ultimate comfort and control. Expert Classic Sole: Optimizes the gliding phase through sole flexibility and improved foot roll for enhanced propulsion. Speed Lace Lock System: Offers rapid, easy closure for increased support and precision.